As I indicated a couple weeks ago I was going to be speaking at the Philly Code Camp 2009.2. If you weren't there you missed a great day of learning about many of the new technologies that are going to matter to you, as a developer, in the next 12 months. Not all of the topics were Microsoft related or even Developer related, for the first time this year there was an Enterprise IT track, targeting specifically you network admins. So Code Camp next year is something you should pay attention too, even if you are not a developer. Also the Beginner Track was broken in to two different tracks this year, Beginner I (which I was apart of) is designed for those of you who are brand new to software development and want to get a feel for the tools, Beginner II is designed for those of you who already have a handle on the tools and want to start learning a little more about developing software. Both are great tracks and both had a very good showing, so if you know a high school student, college student, or seasoned learner that wants to start developing software, they should stay tuned and check back with the Philly.NET website in late March 2010. Al Katawazi's presentation on using ASP.NET MVC in the Enterprise. Both presentations were interesting and engaging and I highly recommend them as speakers. While I am on the subject, if you have a chance, and were present for my talks, please take the time to respond to the survey of what you thought about Philly Code Camp 2009.2 and specifically my talks. This is the only way that Philly.NET Users Group can get feed back on what to do better next time and what worked great this time around. I look forward to the feedback. 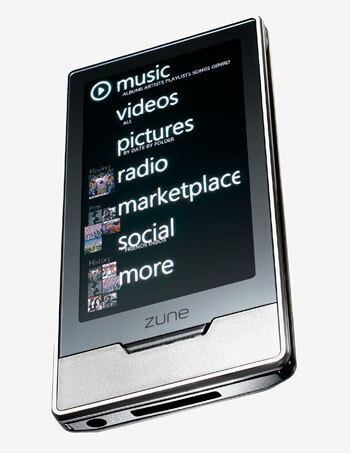 And there is a Zune HD in it for one lucky winner. As I promised in my talks here are the downloadable resources that I used as part of my presentation.